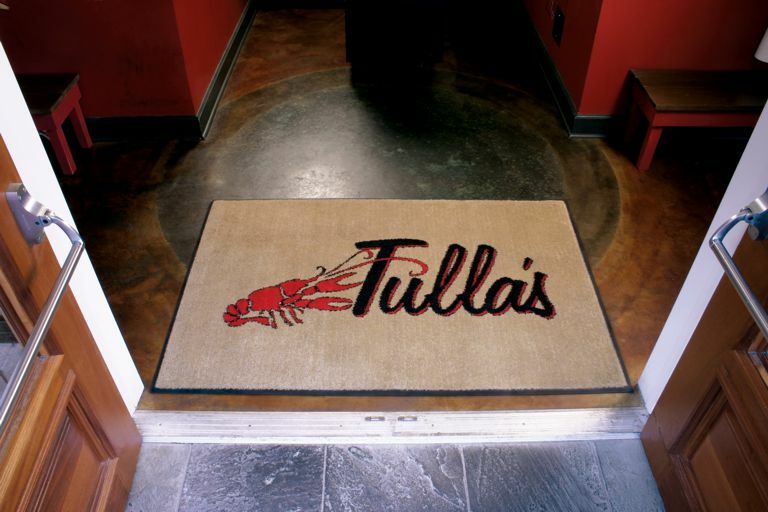 Floor mats keep your environment clean, safe, well-branded, and generally looking good. They can also save you a lot of money. According to the National Floor Safety Institute (NFSI), the average liability award for injury to a customer or other third party ranges from $60,000 to $100,000 per claim. And the average cost of a slip-and-fall workers compensation claim is $4,000, not to mention the cost of increased W/C premiums. The right mat program can mitigate these risks. Ask for a mat safety assessment. You may need coverage in areas you didn’t expect. 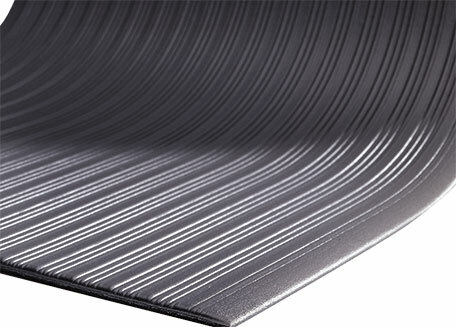 Or mat materials better suited to your environmental needs. Our Mat Safety Assessment will help identify and address your most critical areas in terms of risk and compliance. 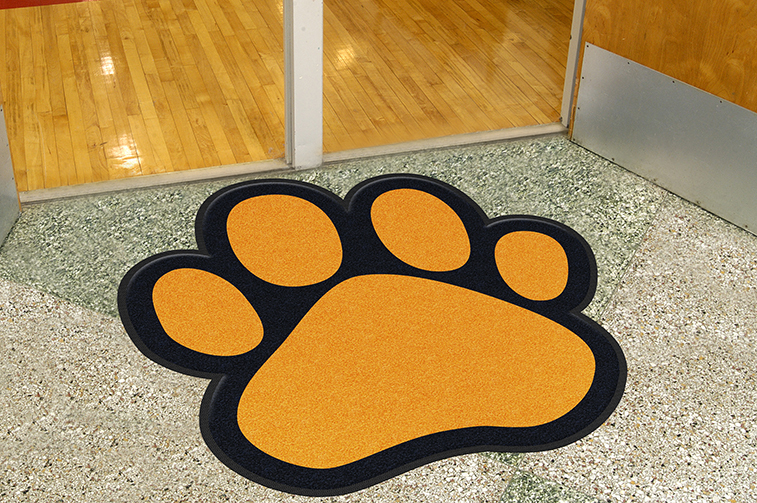 HD Logo Mats Indoor | Dust Control. Permanently printed, plush nylon surface. Photographic quality images. 100% Nitrile rubber backing for increased slip and skid resistance. Waterhog Inlay. Indoor/Outdoor Dust Control. 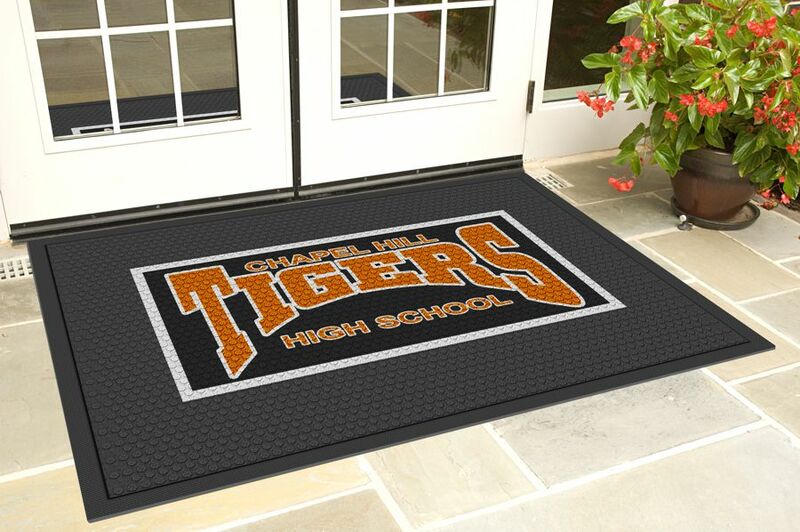 Created using a unique inlay process that can include up to 19 colors per mat. 100% UV resistant polypropylene fabric for indoor and outdoor use. 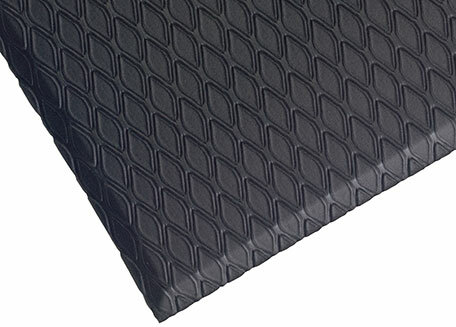 Molded rubber backing resists curling and cracking in all types of weather. Rubber backing has up to 20% recycled content. Available in classic rubber borders or fashion fabric borders. Non-Launderable. Message Mats. Indoor Dust Control. Provide important messages while capturing tracked in dirt and moisture, reducing slip and fall accidents and maintaining your floor. Available in our printed style using our state-of-the-art digital printer. Variety of themes available including bilingual and English-only mats. Classic Impressions HD Custom Shape. Indoor Dust Control. Permanently printed, plush nylon surface. Photographic quality images. Custom cut images with a rubber border. Backed with 90 mil rubber backing for added support and durability. SuperScrape Impressions. Indoor/Outdoor Dust Control. 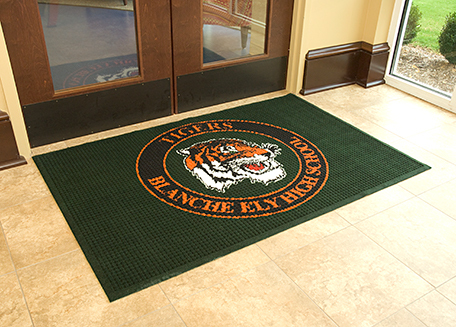 Produced by molding a digitally printed thermo-plastic material into durable Nitrile Rubber. Circular surface cleats make this mat multi-directional, effectively scraping tough dirt and grime off shoes from any angle. Manufactured with durable, anti-static Nitrile rubber that will not crack or curl. Launderable. 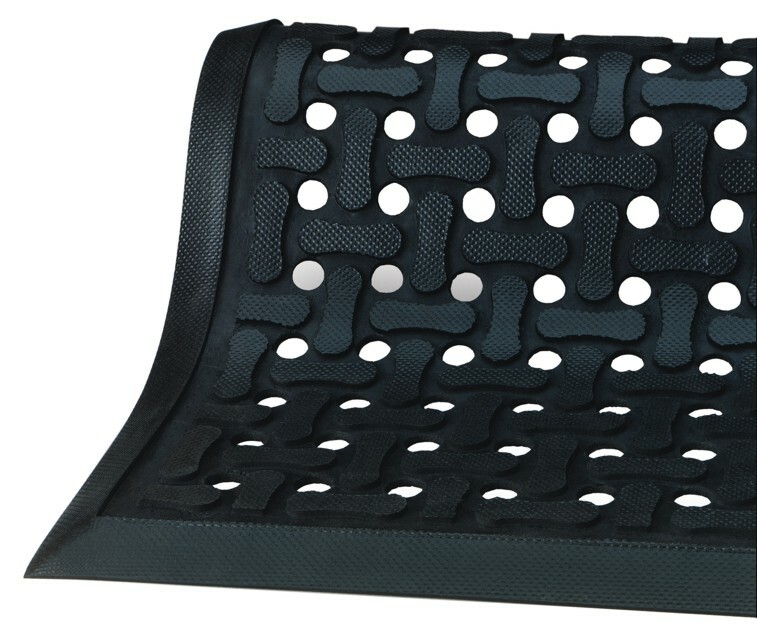 Indoor and Outdoor Anti Fatigue Mats. 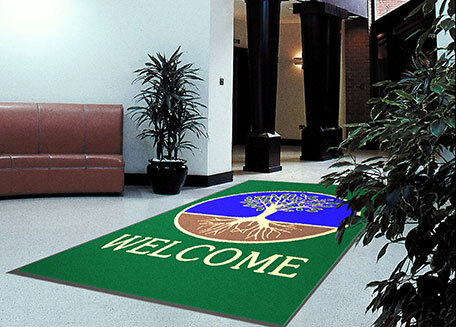 Offered in a variety of options, these specialty mats are most often used where workers stand for extended periods of time. While an anti-fatigue mat will not completely solve issues like sore feet and tired legs, they can lessen the effects on work productivity by relieving some of the stresses associated with standing for long stretches. Typical features include: 100% Nitrile rubber for superior grease and oil resistance, anti-microbial treatment to guard against degradation from microorganisms, reducing the possibility of mats being the source of odors), and anti-static properties allow for use around sensitive electronic equipment.